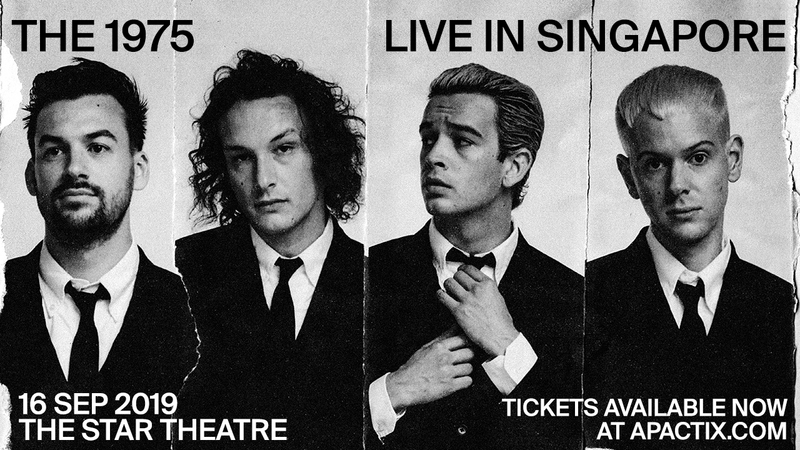 The Manchester indie/alternative outfit, consisting of lead vocalist and rhythm guitarist Matthew ‘Matty’ Healy, lead guitarist Adam Hann, bassist Ross MacDonald and drummer George Daniel, have been making huge waves since their debut concert here in 2014. Their most recent album, 2018’s “A Brief Inquiry into Online Relationships” landed them their third UK #1 album and garnered massive critical acclaim. NME awarded the album a perfect score of five stars out of five – “Clever and profound, funny and light, serious and heartbreaking, painfully modern and classic-sounding all at the same time, ‘A Brief Inquiry into Online Relationships’ is a game-changing album, one that challenges The 1975’s peers – if, indeed, there are any – to raise their game.” Pitchfork also awarded the album its coveted ‘Best New Music’ tag, while Time magazine considered it one of the Top 10 Albums of 2018. The New York Times awarded ‘‘Love It if We Made It’ Song of the Year.